As an interior designer, I am always on the chase for fabulous fabric for both my client’s and myself! 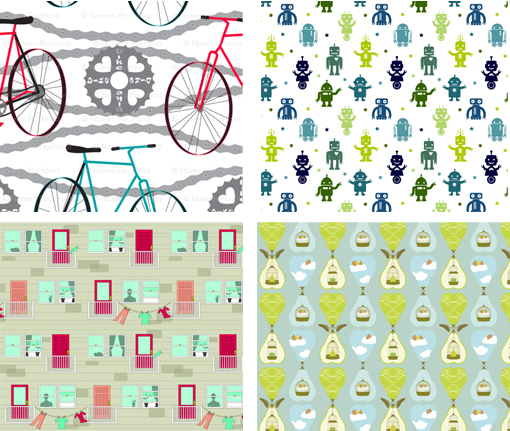 While perusing around, I stumbled across Spoonflower… I was instantly love-struck! This is a great site for the creative type! 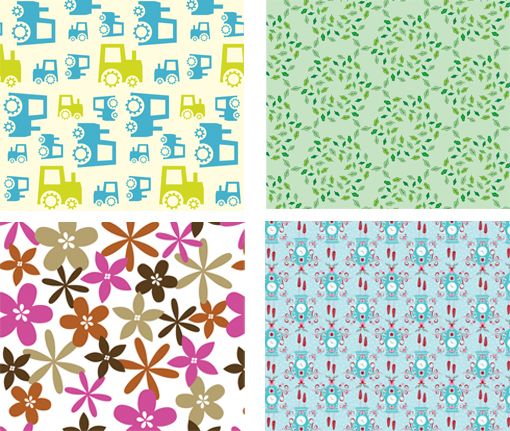 Spoonflower makes it possible for individuals to design, print and sell their own fabric designs. It was born in May of ’08 by two internet hubbies who had crafty wives! Love that! It is basically a worldwide community now with over 70,000 members who use their own fabric to make pillows, curtains, dolls, art and more! You can buy or you can create your own fabric… the options are endless!! Prices range from $16 to $32… not bad, right? They even have free swatch days… so stay on the lookout for those! Many of the fabrics are perfect for a cute nursery… I can’t wait to start one of those one day soon… hopefully. Ready to see some more fabulousness? Well, hop on over to Spoonflower and check it out! If you are in the mood to create, sign up for a free membership and get to it… but come back and share with us!! We have been spotted… ShelterPop picked up one of our Fall Cleaning Tips… click here & check it out! Psst… We are having a HUGE, AMAZING Giveaway this week… click here to enter! Also, we recently opened up our own Etsy… check it out! Happy Fabric Shopping & Creating! A-MAZING!!! Being a textile artist this is right up my alley!!! I’m definitely going to have to check them out. Thanks for the info. Cathy~ I am so glad you liked it… I would love to see some of your designs!! Let me know if you would like to share your process etc.! Awesome link Lindsay. LOVE IT! Emily~ I thought it was too cool to pass up! Thanks for stopping by! Beautiful … and so unique and fun! I’m forwarding to my sister … she’ll love it!